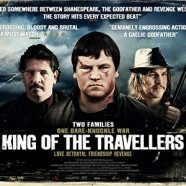 Written & directed by Mark O’Connor and produced by Cormac Fox, King of the Travellers is a contemporary drama grounded in the traditions of the Irish traveller community and driven by emotive Shakespearean themes of love, betrayal, friendship and revenge. Connors and Coonan, in their very different ways, can both own the screen, and while the story doesn’t end anywhere particularly surprising, the film, with its clear delineation of good and evil, works well in traditional crowdpleaser terms. Production values are good, John Reynold’s music being particularly affecting and apt. John is represented by Spirit Music & Media.